Katy Perry will release her new album, “Prism”, on October 22. 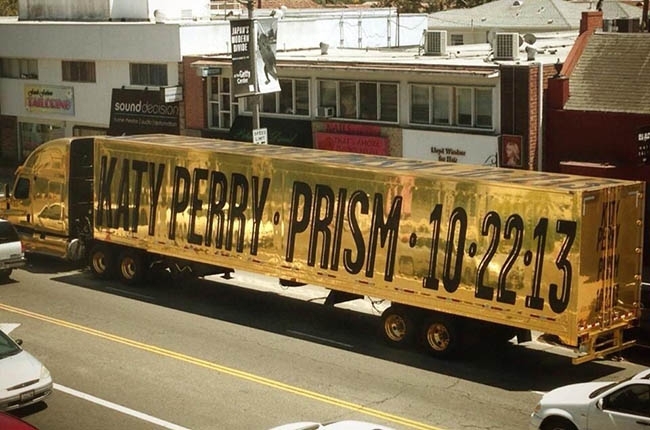 The pop superstar revealed the news with the title and release date emblazoned on the side of a golden truck driving through Los Angeles on Monday. Perry’s fourth album, “Prism” is the follow-up to the 2010 smash, “Teenage Dream”, which sold more than 5 million copies worldwide. Perry plays the role of Smurfette in the new film, “Smurfs 2”, which hits theaters on Wednesday.